Amazon's Choice for "trials rising"
Upgrade your Trials Rising experience with the GOLD EDITION including the Game, the Expansion Pass and a 16-page Sticker Artbook. 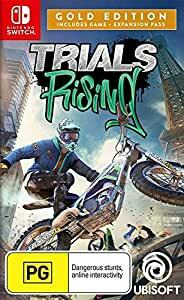 - Game Content o Trials Rising Standard Game o The Expansion Pass, giving you access to additional motorbikes, tracks and more. Physical Content o A 16-page Sticker Artbook, featuring some of the most epic arts created for the game. Pre-order to get two additional customisation packs and impress your competitors with your style. o The Jungle Rider Pack includes the Gorilla Outfit and the Camo Bike Bodykit to let your inner gorilla loose and rampage through the streets. o The Wild West Rider Pack contains the Wild West Rider Outfit and the Rodeo Headlight to ride like a true cowboy. Trials Rising is the newest iteration of Ubisoft's gripping motorcycle platforming series. Combining the core gameplay and over-the-top action of the Trials franchise with all-new features, more competition, and a fresh visual look, Trials Rising is the biggest and most ambitious title in the series to date. 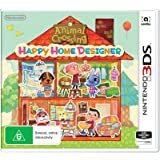 The competitive rags-to-riches experience is designed from the ground up to gently introduce new players to the acclaimed physics-based gameplay. With more tracks than ever before, beginners are in for a smooth ride towards mastery, while the skills and nerves of experienced players will be put to the test in the most advanced challenges. This is Trials at its best. Generally excellent, the only thing I don't like is the Trials University is terribly designed in that it will make you want to throw your controller at the wall.